SAVCO Corporation is the professional manufacturer of Patented Design products and without any traditional type. 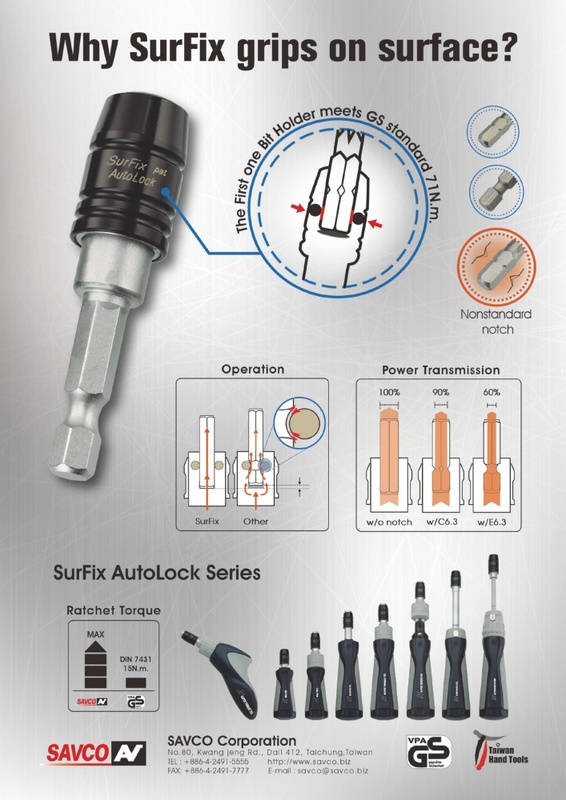 Recently, we have the brand-new product series as SurFix AutoLock bit holder design for surface grip that is the most different with the traditional bit holder as grips on the groove. The newly developed product can grip on the surface during insertion with one-touch, perfectly fits for any 1/4" hex shank of bits without tolerance; moreover, even bits with inaccuracy groove which caused by out of centricity of the bits when the mass production.